Morning ladies after the recent lovely weather we've been enjoying I think it's safe to say we can put last winter firmly behind us & instead look ahead to more sunny days *touches wood & crosses fingers*! 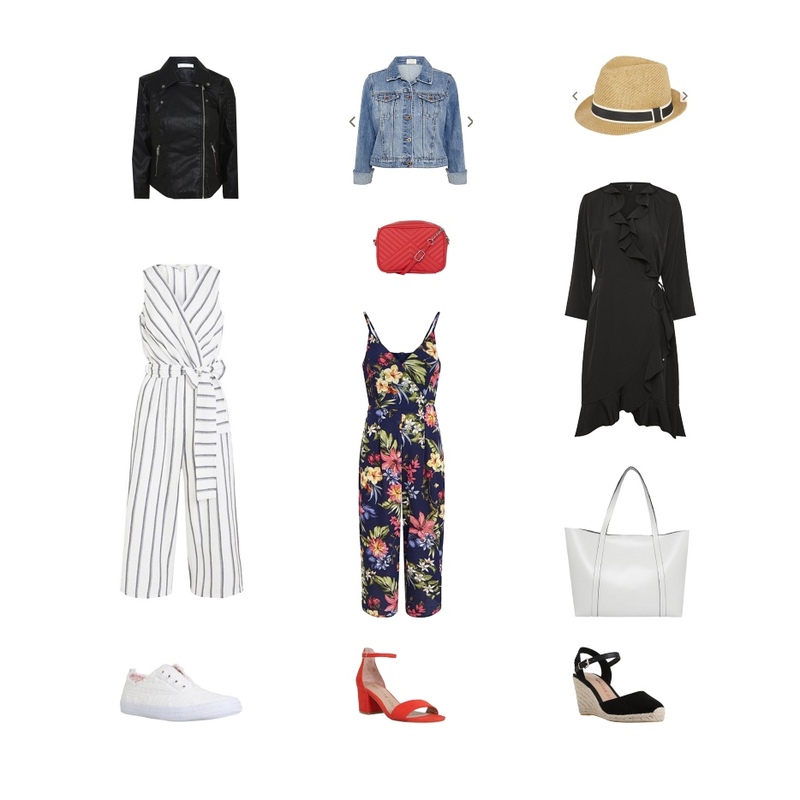 I was recently approached by F & F Clothing at Tesco to see if I would put together my top picks from their latest SS18 collection & showcase how I'd style them. With a lot of us doing our weekly grocery shop online, supermarket clothing can be an area we can overlook without realising it but there's some real gems, at great affordable prices that are perfect if you do your grocery shop in store for adding *hiding* amongst all the weekly essentials ;-) Or alternatively also available online. So without further ado here's my top picks plus outfit suggestions including two wardrobe necessities for this time of year the denim & biker jacket. I just love the stripe cross over jumpsuit that would work for day, as I've shown above, or alternatively slip on a pair of heeled sandals & a blazer & you've got a great night out look too. Equally the timeless black wrap dress would be perfect for teaming with a biker or denim jacket & has a real Parisian style feel to it. Of course come the warmer temperatures there's nothing better or easier than just throwing on a dress to keep cool & stylish. The above red halterneck dress could so easily be teamed with gold accessories for wearing of an evening on holiday & of course a simple black maxi is not only timeless but a great multi-tasker if travelling light. Equally you can't beat wearing white clothing in the summer, especially when paired with sun kissed skin. 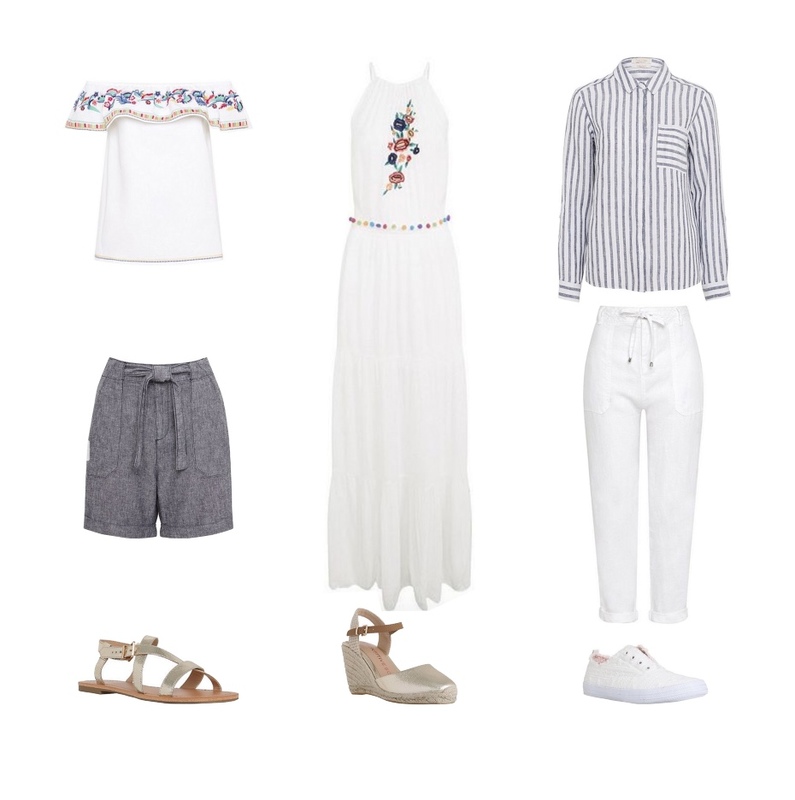 So the above embroidered bardot top & linen trousers would be perfect for our summer holidays as would the lovely pompom maxi dress & for effortless style you'll never go wrong with a pair of white linen trousers & a stripe shirt. However, if you prefer your wardrobe to be a little more colourful then the above stunning green cami is sure to inject a pop of colour or even the red wrap tea dress. Style as shown above or for casual days at home thrown on a pair of trainers & then on holiday team with some tan flat sandals, a strap panama & basket for laid back style. And finally stepping away from clothing & taking a brief glimpse into nightware. How lovely & more importantly cool would these pyjama sets be?! 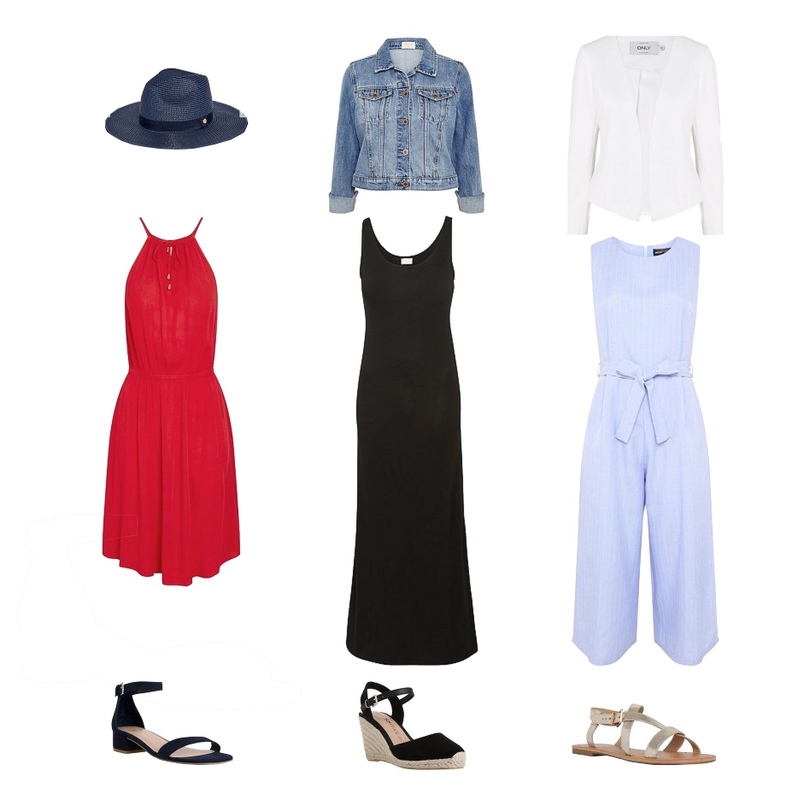 Back to today & my look is all about a favourite maxi dress from last summer. So ladies are you a fan of popping the odd item of clothing into your weekly essential shop? If so what's been your top buy so far? I'd love to hear. In the meantime you can see all of Tesco's new into store clothing here. This post was written in collaboration with Tesco F & F Clothing.